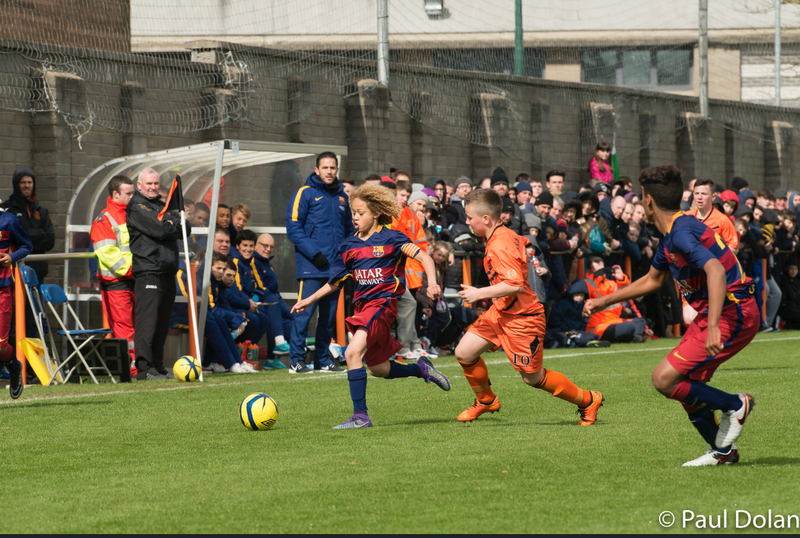 Reigning champions F C Barcelona will return to defend their title when they take part in the St Kevin’s Boys Club Academy Cup Tournament which the Whitehall Club are staging for the 9th time over the Easter weekend (April 14th – 16th ) at their ground at Shanowen Road in Santry. Fellow Spanish club and 2015 Academy Cup champions Deportivo La Coruna also return and the Spanish teams will be joined by Belgian Club KRC Genk who along with French visitors Olympique Marseilles are making their first appearance in the competition, twice runners-up West Bromwich Albion and the host Club also twice runners up complete the six team line-up in what is now regarded as one of the top European tournaments for elite players at Under 13 age group. This strong line- up of teams is sure to provide a great spectacle of top class football as it did last year when Barcelona were crowned champions defeating St Kevin’s Boys on penalties in the final. The Tournament is sure to attract large crowds over the three days of play which starts on Good Friday morning with the first game at 10.00am between St Kevin’s Boys Club and KRC Genk. (2) 4.15pm & 5.30pm Friday. (5) The final session of three games on Sunday at 10.00am, 11.30am and 1.30pm (Final).